I've been posting a lot of Bible verses and explaining them lately. I want to take the time, at this moment to explain one more thing: sin. Technically it means to miss the mark. 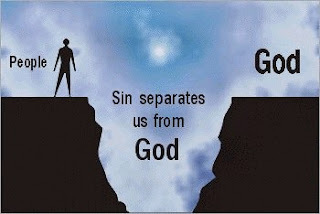 Paul says of sin, "for all [Everyone]...fall short of the glory of God" Romans 3:23, NKJV). Anything that we do, which puts self above God's throne, is in actuality a "sin." Jesus said it this way, "No servant can serve two masters. Either he will hate the one and love the other, or he will be devoted to the one and despise the other. You cannot serve both" (Luke 16:13, Berean Study Bible). So, if all of us sin and fall short of God and His standards, then anything that is exalted in our eyes (except God) is idolatry. 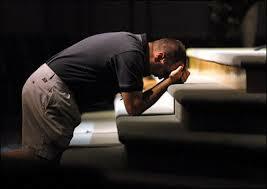 "You shall have no other gods before Me... you shall not bow down to them nor serve them" (Deuteronomy 20:3, 5, NKJV). I give thanks to the One, sent by the Father, who set me free from sin and its end result, death, and by the power of His resurrection over the grave that I have that same - because He loved me. He desires the same for you; you can be set free from sin and death as it's a free gift. You're worth it. If He can love someone like me, then He can love you enough to set you free, too. preaches the gospel of Christ. All we can do is pray for him. 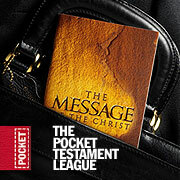 There is a huge difference between the Prosperity Gospel and the Gospel of Jesus Christ. 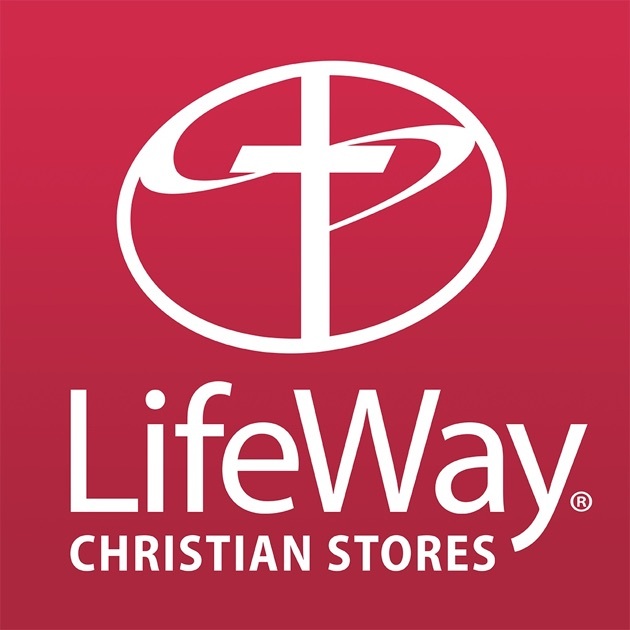 It is this, the Prosperity Gospel says "if you name it, you can claim it." 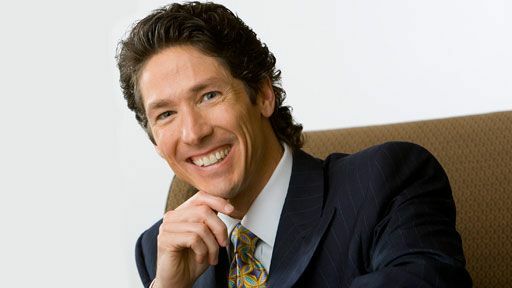 Joel Osteen recounted a time in his life when him and his wife were in a neighborhood where they wanted to live. He had a hard time believing they could ever live there and was chastised by his wife into believing they could do so. Nevertheless, they were able to have the house of their dreams. Also, the Prosperity Gospel says you can use God to be blessed by God. Sorry, the God I know isn't a blanket to be pulled out every now and then to be covered. The Gospel of Jesus Christ, however, says that we are sinners needing grace, and receiving that grace is by having faith Christ can and will forgive us our old debts--our sins--renewing and restoring us to a right relationship with God, the Father. Jesus Christ does more for us, anyway, than the Prosperity Gospel can. Jesus says, "My peace I give to you, not as the world does." He also says, "Rest and take my burdens for they are light and not heavy." The biggest difference between the two is that when Jesus Christ is accepted He saves us not only from ourselves and our sins, but we are no longer of this world. The Prosperity Gospel? It's a worldly, materialistic view that is saying we really don't need God or His grace and salvation. Recently, I found out Osteen rebuked the following apostles for all they did: John, Peter and Paul. These men helped lay foundations of faith, love and how we are to model Jesus Christ in and through our lives. So, for Joel to rebuke them means he doesn't truly cherish what God desires to do in his life. Therefore, I am praying he sees the error of his ways and comes fully to Jesus Christ for salvation. He has allowed his view, his understanding of scripture, to not really minister rightly to those who have him on their programs (television). It is our job, if we are in ministry (and I believe we are if we truly are saved), to minister to others when we are asked for our faith, why we believe as we do and to give sound answers regarding other specific questions asked. "From that time Jesus began to preach, saying, 'Repent, for the kingdom of heaven is at hand'" (Matt. 4:17). 1) "The kingdom of heaven is at hand." We're told in Isaiah that Jesus would be known as "Immanuel, which means 'God is with us'" (Matt 1:23). What does Immanuel, or Emmanuel, meaning "God with us" have to do with "The kingdom of God?" Jesus quotes Isaiah 61:1, saying, "The Spirit of the Lord is on me, because he has anointed me to proclaim good news to the poor. He has sent me to proclaim freedom for the prisoners and recovery of sight for the blind, to set the oppressed free" (Luke 4:18). For the kingdom of heaven to be at hand means God has to be close by. Let's think on this and see who all Jesus healed, with either a touch or a word. The only people Jesus couldn't minister to were those who live in unbelief, or weren't looking for the "suffering servant." The Pharisees and Sadducees were surely unable to see Jesus in the right manner because they wanted Jesus, the conquerer. 2) "Repent." In the Greek the word is "Metanoeite," which means repent/ance. This version of the word means "to come to a new mind." In other words, it is a turning around of having done something wrong. Case in point: when Jesus tells the parable of the Prodigal Son, he mentions a son who realizes how far he's fallen. He's basically in a pig sty, eating their food. He comes to his senses and reasons, "Surely, if I go home and present myself as a servant to my father, he will take me back in." He's had a huge change of heart. His mind has been renewed (or rather in this case he realizes also how much he stinks; synonym: repentance). The big thing here is to realize that if God is so unloving and harsh, how could He send His only Son, Jesus Christ, "to proclaim good news to the poor, freedom for the prisoners and recovery of sight for the blind, to set the oppressed free." Jesus even said that he did the will of the One who sent Him. After all, Jesus went to the cross, washing us clean of our sins, and therefore being presented blameless before the Father. "Therefore I urge you, brethren, by the mercies of God, to present your bodies a living and holy sacrifice, acceptable to God, which is your spiritual service of worship" (Romans 12:1, NASB). 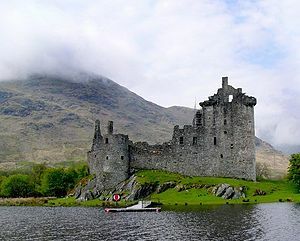 Picture of the ruins of Kilchurn Castle, Argyll and Bute, Scotland. The hint of life is always present. What looks dormant really isn't. It's just in a state of rest. At least that's what I believe. To be honest, however, what may have seemed to be a long time just to be abandoned or without hope, this blog has sprung back to life. I have reviewed what I want to do and what needs to happen. 1) I can write when I want, in terms of writing, without feeling penalized or as if I did something horribly, terribly wrong. 2) It's better off for me to write as I do enjoy it. I say this, but with my luck I'll get disenchanted yet again and this will go on the back burner once or several times more. 3) If 1 and 2 don't stump me then I'm doing all right. I just have to keep plodding on (or is that plotting on?). For the sake of my site/blog I can simply redesign the whole thing and go from there, but I rather like the look and feel. The main reason for the long wait is that I wanted to see about getting posts up without doing a great deal of coding. I have figured that out. It's called removing a few formats I had in place and leaving it be. Which is what you see now. Dormancy can be a good thing. Sometimes it's not. Regardless of which it's better to not always lie in a state of rest as things can fall into disrepair (as you can see with Kilchurn Castle as pisctured above).